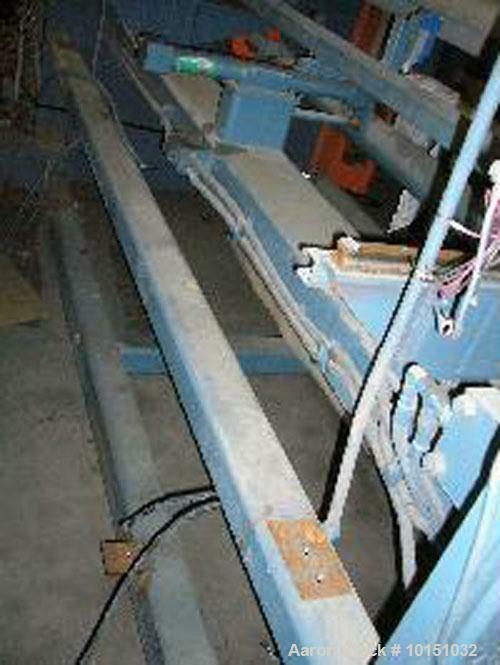 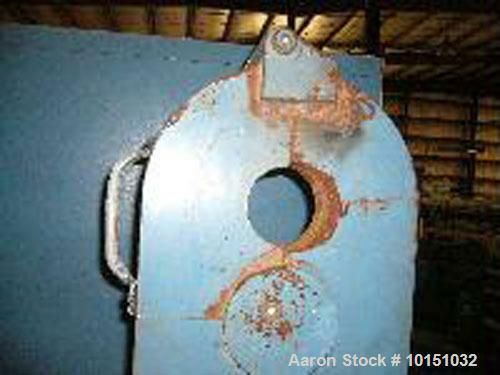 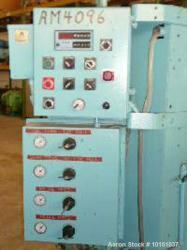 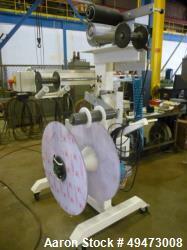 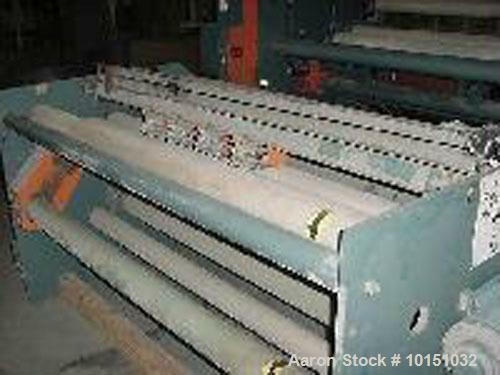 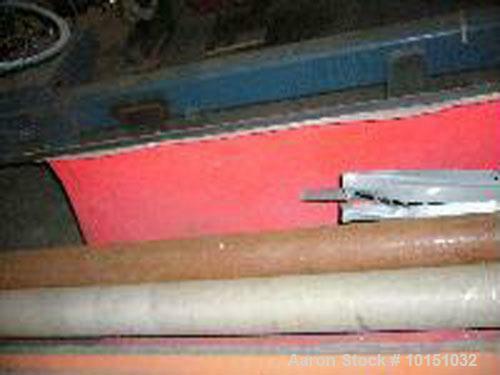 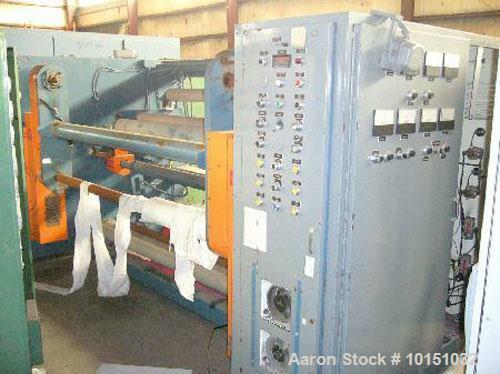 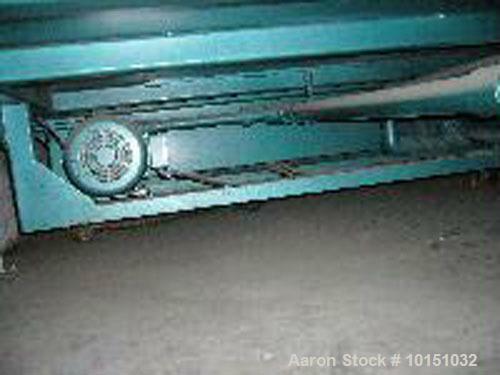 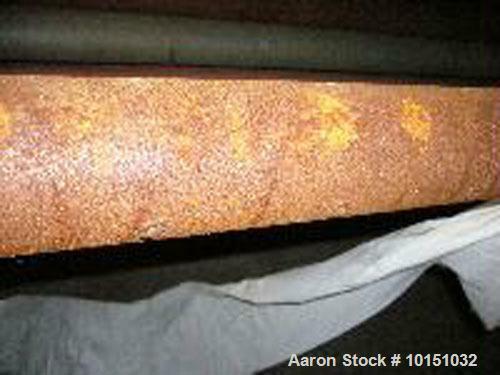 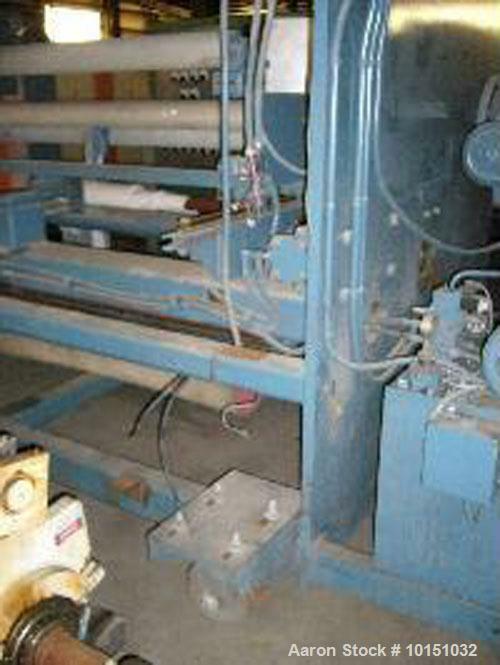 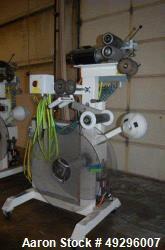 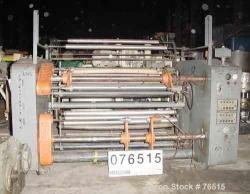 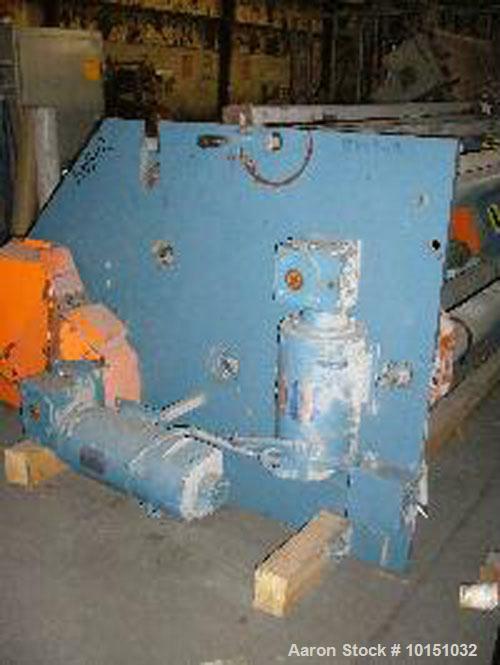 Used-72" Wide APV Single Turret Winder. 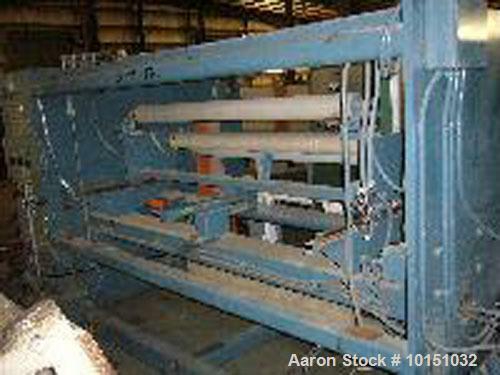 Will accommodate 24" diameter roll, has flying knife cut off hydraulically actuated with hydraulic pumping system included. 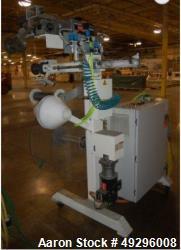 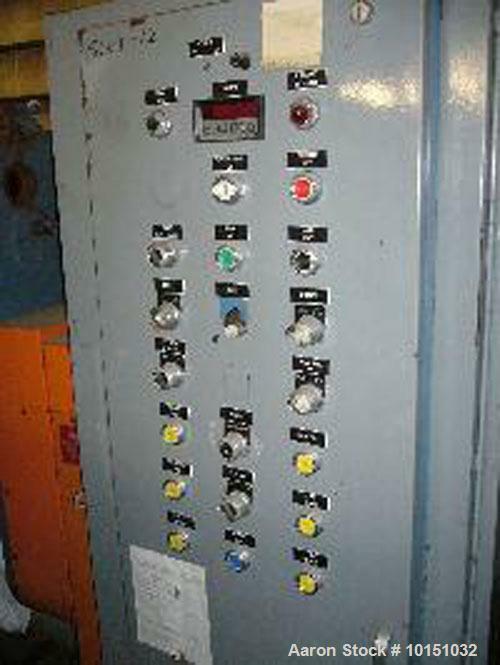 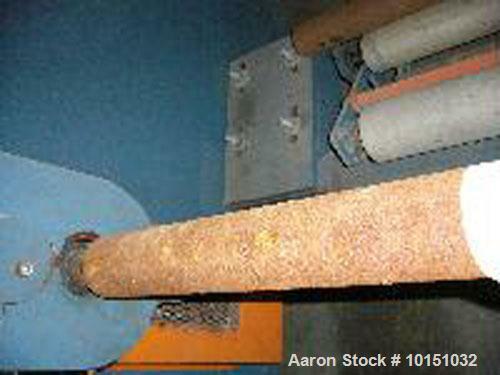 Has load cell tension control, lay on roll assembly and Allen Bradley SLC100 control. 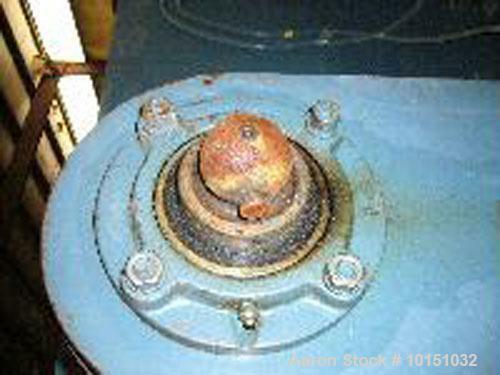 Winder equipped with 3 hp gearhead DC motor, 1750/2050 rpm with 5:1 gear ratio and 1:1 timing belt reduction to 3" air shaft. 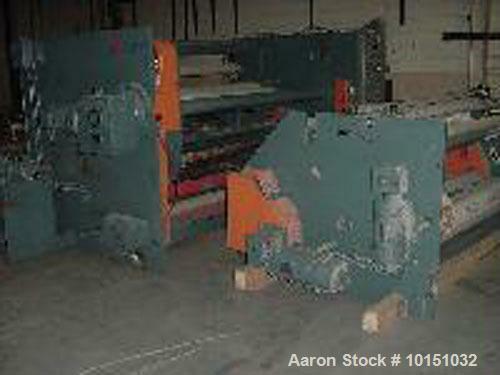 Supplies approximately 325 fpm line speed. 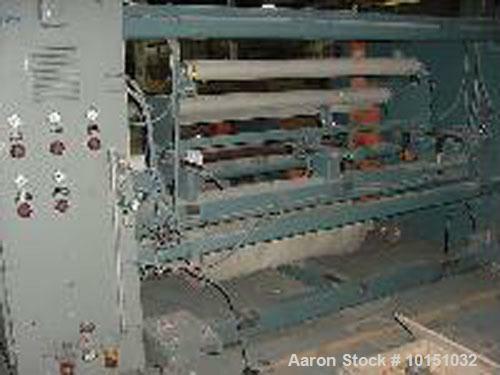 Also includes pull roll station driven by 3 hp DC gear head motor, 1750/2050 rpm with 7.5:1 gear ratio and timing belts (8" drive and 7" driven OD) supplying 1.14:1 gear increase and slitting station with Mount Hope bow roll. 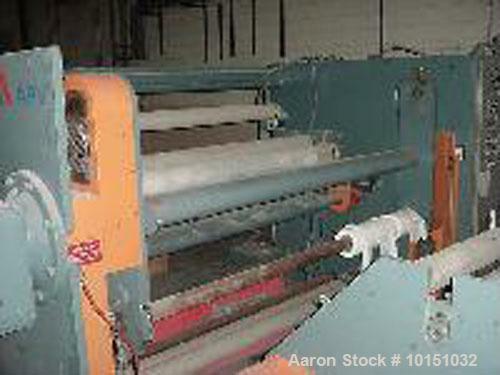 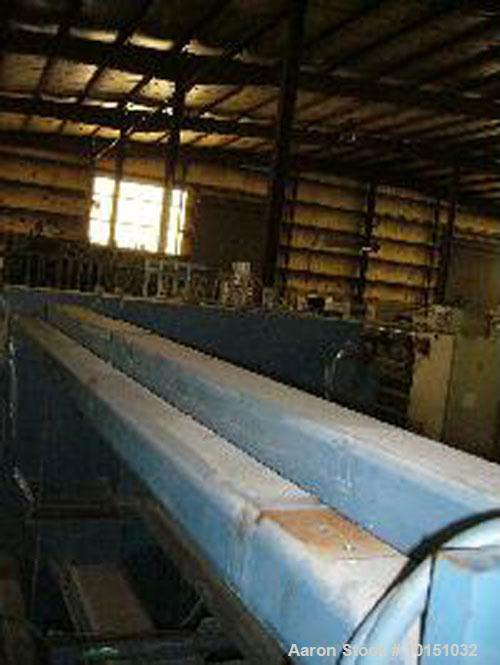 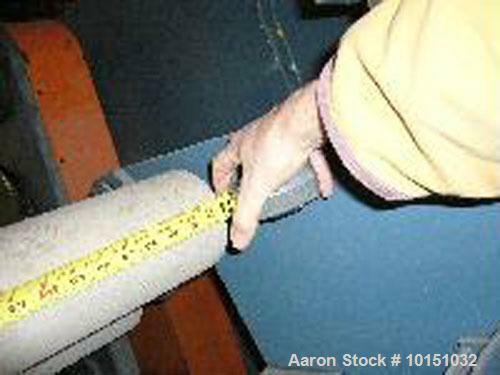 Previously used for winding thin film. 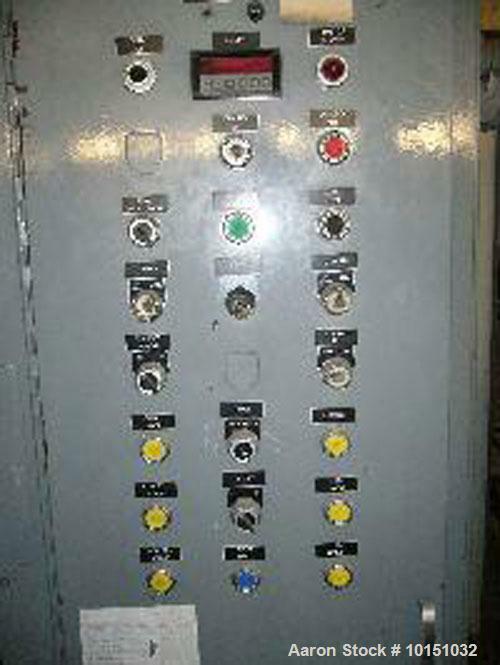 Manufactured 1989.